Julia Stone is thrilled at the prospect of introducing fans to the newest chapter in Angus & Julia Stone’s history. Off the back of a six-month-long recording stint in the US, the newly reacquainted sibling singer-songwriters are set for shows at home and abroad, and have a brand-new repertoire which might surprise seasoned fans. Rick is, of course, Rick Rubin, famed producer, founder of Def Jam Records, American Records, and former co-president of Columbia Records. He’s a man of many talents, though a noted savant when it comes to hip-hop and hard rock production. Rubin wouldn’t be your obvious first choice when listing candidates to helm an album from these folksy songwriters, but the industry heavyweight’s unsolicited email was the catalyst which reunited the pair on both musical and personal fronts. Faced with a rare professional opportunity, the Stone siblings discussed the prospect over the phone, but it wasn’t until Julia saw Angus’ solo performance, and he hers, that they both realised what they were missing out on. The tentative feelings persisted, but their time apart proved fruitful. Solo tours and releases, developments in individual sounds, and collaborating with other artists allowed new approaches to familiar territory, and a greater level of openness when it came to sharing the stage. They entered the studio with positivity, spurred on by intrigue. If it wasn’t already obvious, Rubin was a long-time fan. “He said he really liked our songwriting, he just wanted to bring a different sound to the songs,” Julia says. And if they weren’t already sold on the prospect, at that moment they were. 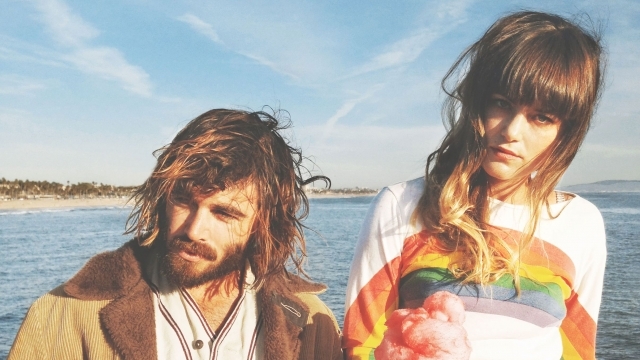 The end result is Angus & Julia Stone’s self-titled album, their third, set to hit shelves in August. First single Heart Beats Slow is a welcome return, and reflects not only the new influences of Rubin but the air of energy and rejuvenation so clear in Julia’s voice when she speaks. The duo are scheduled to give the songs their first live airing at Splendour In The Grass, the mention of which has Julia giggling like it’s their first festival performance. In light of the past couple of years, that’s how it must feel. Angus & Julia Stone’s new single ‘Heart Beats Slow’ is available now. Their self-titled third album is also available for pre-order. The pair will appear at Splendour In The Grass this July — full details here.